I’m not one that has really enjoyed the “let’s age everything in Bourbon barrels” trend that’s going on. Especially when it comes to wine. 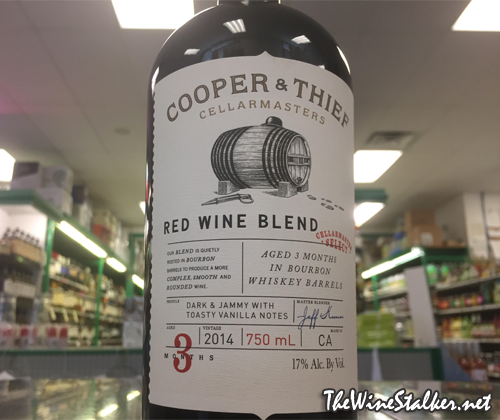 So I was shocked when I tried Cooper & Thief’s Red Wine Blend and absolutely loved it. This is a blend of 38% Merlot, 37% Syrah, 11% Zinfandel, 7% Petite Sirah, 4% Cabernet Sauvignon, and 3% miscellaneous blenders. It spent three months aging in Bourbon barrels, soaking up the flavors and gaining additional alcohol. Even without the Bourbon barrel aging, the quality of this blend would still put it in the $20’s. It’s also bold enough to stand up to Bourbon barrels for that long. 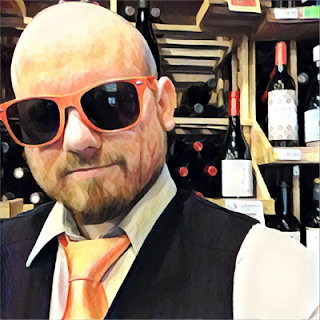 A lot of the bourbon barrel aged wines are just okay in quality and are only in the barrel for two or three weeks, pinning their appeal on the “bourbon barrel aged” labeling, so they’re usually a disappointment. Not this baby. The nose has an awesome ethanol burn to it that brings the aromas up to your nostrils. There's a ton of vanilla backed up with raisins, cherry wood, and black licorice. On the palate it's full bodied, has an extremely lush mouthfeel, and super soft and sweet tannin. Vanilla is again the main attraction, with other flavors like blackberries, black raspberries, and that unmistakable Bourbon whiskey flavor. It finishes with blackberries, Bourbon, a chalky mouthfeel on the tongue, and a syrupy coating over your teeth. The key to really enjoying this wine is thinking of it as more of a liqueur than a wine (I even drink it out of a brandy snifter instead of a wine glass). If you taste it thinking you’re gonna be getting a typical red wine with a little bit of Bourbon flavor, you’ll be getting the equivalent of thinking you’re taking a sip of cola and it’s actually orange juice. It’ll shock you, and your first impression will not be good. So, think of it as a liqueur, digestif, or dessert wine and I'm sure you’ll love it. It is hideous. Kill it with fire. By the case.